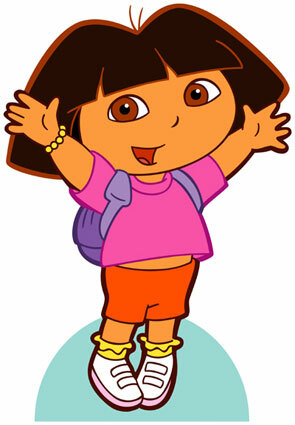 In Spain, Dora teaches English. The French are amused when Americans talk about getting on a plane. They get IN a plane. It’s like that in Mexico too! In France Dora teaches English. My host family didn’t know it was an American show and couldn’t understand why a Hispanic girl was teaching their children English. I’m sorry. I don’t get it. I know Dora… but what’s the cultural reference about her teaching English? In the US Dora is known for teaching Spanish, but it wouldn’t make since if she did so in Spain, as all of the kids there obviously already know Spanish.